What a moving day for Michael Thompson at the Albertsons Boise Open! 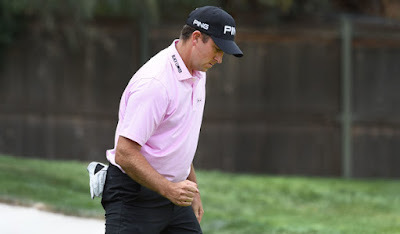 All he did was shoot a field leading seven under par (64) and jumped into a tie for first with Scott Stallings. He continued his solid fairways and greens approach and for the third straight round hit 13 out 18 greens in regulation. He improved his driving accuracy over the first two rounds by hitting 11 out of 14 fairways. He is now tied for third in driving accuracy for the tournament. Since he was in contention early after his birdie-birdie start, Michael got plenty of TV coverage on the Golf Channel. The highlights of the coverage are shown below. Since he's in the final group tomorrow, hopefully we will get to follow his round on TV once again. The Golf Channel coverage goes on the air tomorrow at 12:00pm PT while Michael tees off at 10:10am PT. In the third round of the 2016 Albertsons Boise Open presented by Kraft Nabisco, Michael Thompson chips in for birdie from off the green on the par-4 5th hole. In the third round of the 2016 Albertsons Boise Open presented by Kraft Nabisco, Michael Thompson leaves his second shot within 2 foot range for a birdie on the par-4 10th hole. Thompson makes an unbelievable putt from 50 feet for birdie on the par-4 11th hole. 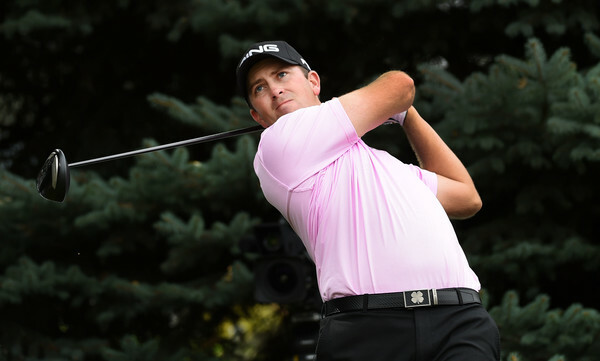 In the third round of the 2016 Albertsons Boise Open presented by Kraft Nabisco, Michael Thompson successfully holes his 15-foot putt from the fringe on the par-4 15th hole. In the third round of the 2016 Albertsons Boise Open presented by Kraft Nabisco, Michael Thompson knocks his approach shot into within 11 feet and converts the putt for birdie on the par-5 16th hole.